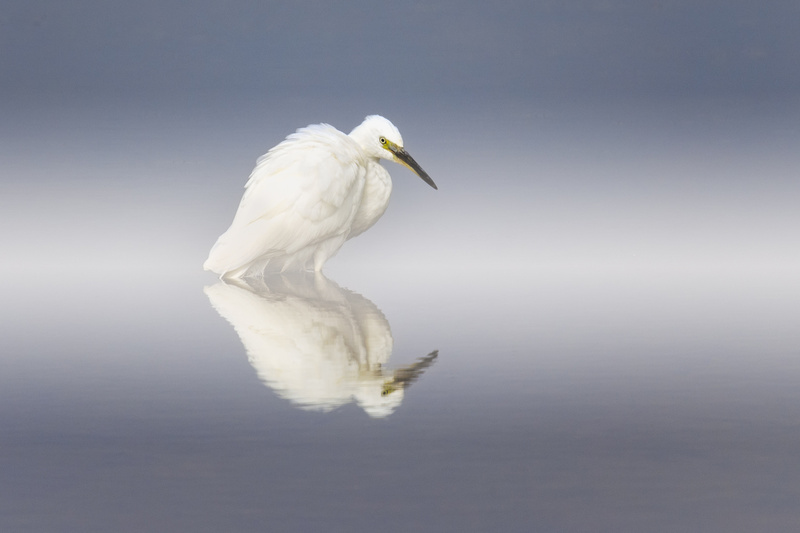 Little-egret (Egretta garzetta) Sitting in the shallows. Wandered up to local RSPB nature reserve.. watched this fella for a while. Grabbed a shot on the 1Dx, & Sigma 150-600mm S with 1.4 extender. Simple and Elegant. Great work Howard! Simple yet striking. Well done!